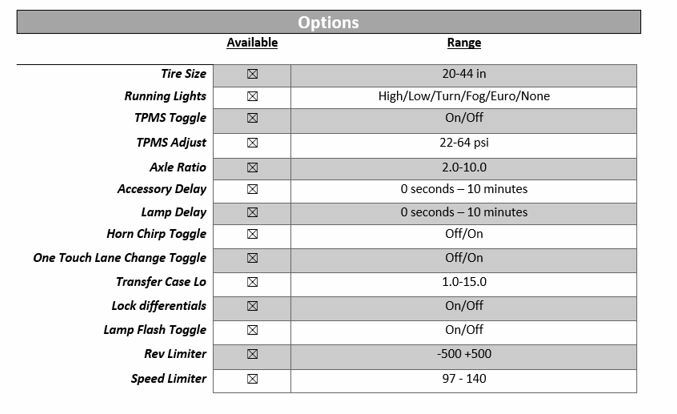 TrailDash2 PN 42051 now includes support for the 2018 JK Wrangler! This exciting application coverage is available via a software update for any product in the field and is set current on all product shipping, effective today. Known for delivering impressive power and loads of features, the TrailDash2 for 18 JK Wrangler adds up to 29 HP & 37 lb-ft TQ, along with tire, TPMS, gear, and monitoring capabilities. Review full product details below and be sure to stock up on the TD2 PN 42051 today. Additionally, today’s announcement also extends coverage for the Stage 1 Powerpaq kit (PN 42051-P11), including the TD2 and cold air intake. The TD2 is also available in a bundle with a set of LIT LED wide shot pods (PN 42051-L). See details below & shop here for your 2018 JK Wrangler!